We aim to ensure that everyone who visits our bed and breakfast has an enjoyable and rememberable stay. We offer a warm friendly welcome and comfortable bed and breakfast accommodation, in pleasurable surroundings and a relaxed atmosphere.
" I just wanted to let you know that I have stayed in many guest houses, however, yours was by far the best. 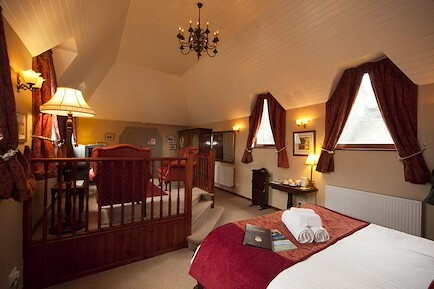 The accommodation was extremely comfortable, well presented and impressively clean. Breakfast was excellent and plenty of it. It was clear that you make a great effort to make your guest's stay comfortable and pleasurable.Thank you!" Glencoe Guest House is situated in a quiet residential area, with views over the local fells, yet only a 5 minute stroll from the town centre and all its amenities. We have full details of what is going on in and around the surrounding area at your disposal. DIRECTIONS - Entering Keswick along Penrith Road turn left into Greta Street, after the conservative club, straight over the first crossroads and turn right at the next crossroads into Helvellyn Street, Glencoe Guest House is on your right. Using the Penrith Road bus stop follow directions as above. Your enquiry will be sent directly to Glencoe Guest House. Please fill in as much detail as you can.